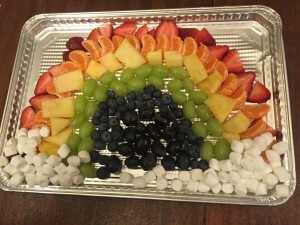 This St. Patrick’s Day my twins wanted to make a rainbow to bring to their school party. 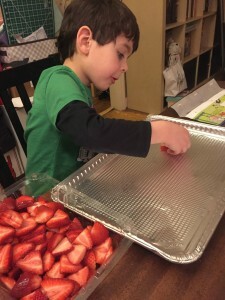 So I scoured Pinterest for ideas and came across a healthy and easy recipe. So easy, in fact a 4 year old could make it! 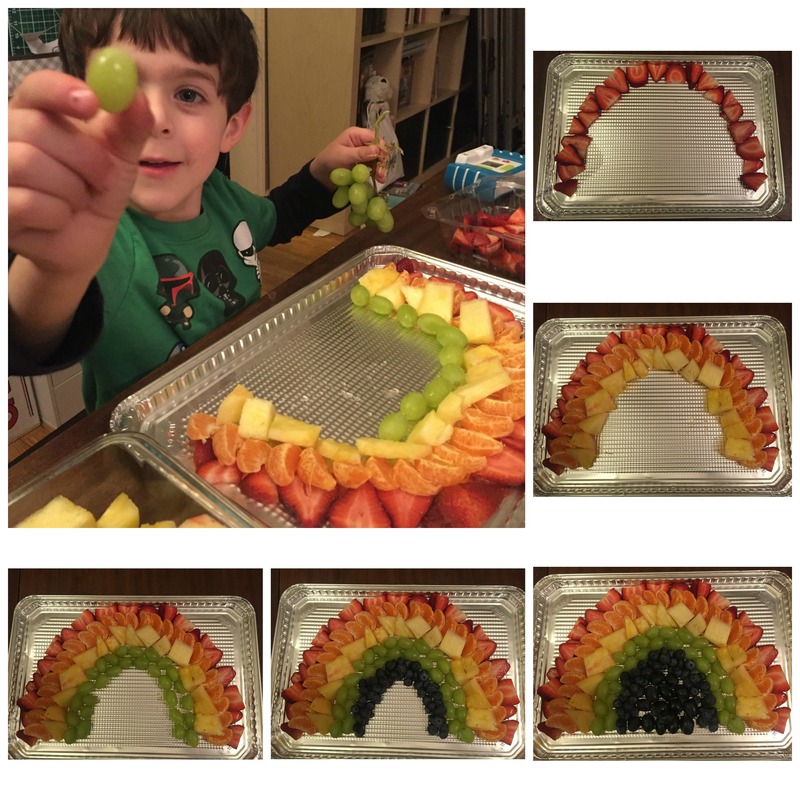 Wash, peel, and cut your fruit according to where it will be placed in the rainbow. Make sure to have extra ingredients on hand since my helper ate his body weight in strawberries and marshmallows!! 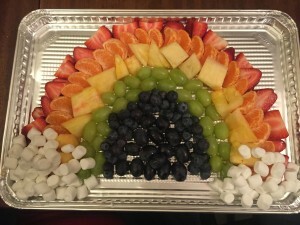 Arrange the fruit on a special plate or platter for serving. Easily Entertained Tip: For the gold under the rainbow you can also place a small bowl at the end of the rainbow and fill it with small gold chocolate coins. To finish off the rainbow we added marshmallows to the bottom of the rainbow. Of course, the 4 year old didn’t think I added enough marshmallows so he finished his off with even more!